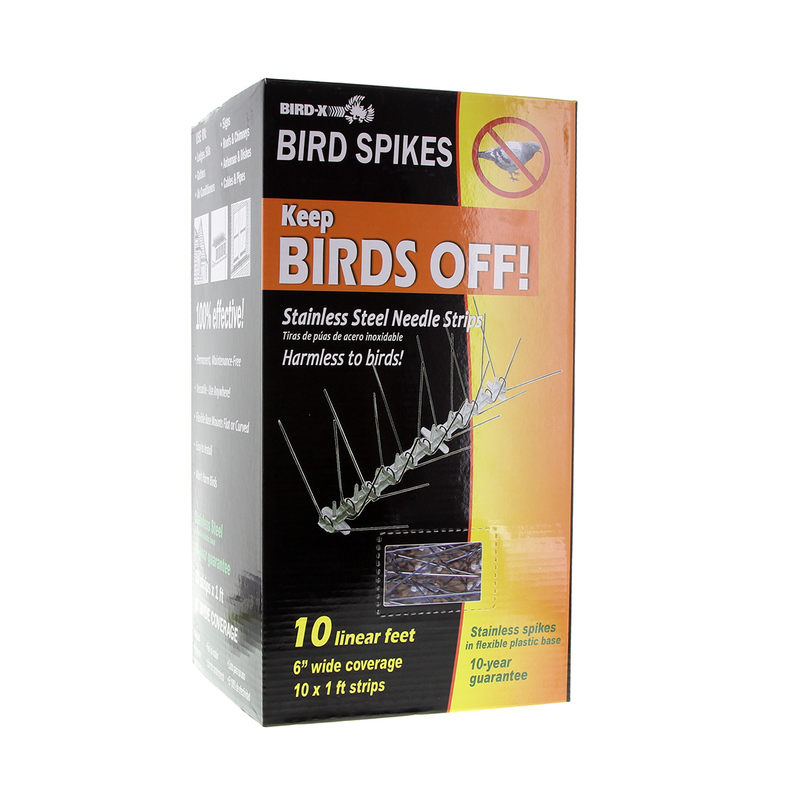 Undoubtedly the most effective bird control product on the market! 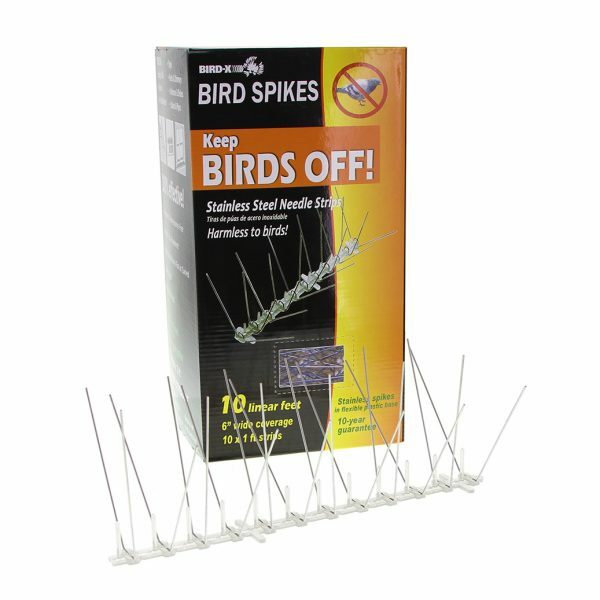 Spikes are not harmful to birds, however they are the most effective surface deterrent available. The flexible base and highly visible spikes make these the best visible bird deterrent available. 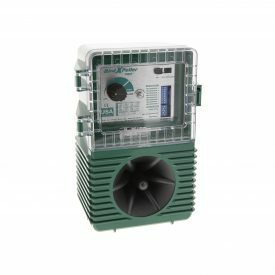 Spikes offer a ‘one-time’ solution with little or no maintenance required. 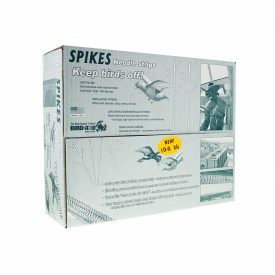 Widely used by many government agencies and major and small businesses, spikes are the most reliable bird control device used today. 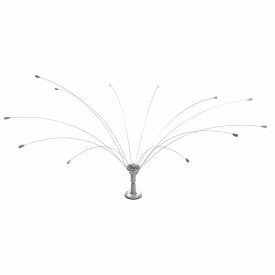 The spikes won’t decay or corrode and once installed, can last a lifetime. Spikes made easy. Get professional results anywhere birds are not welcome. 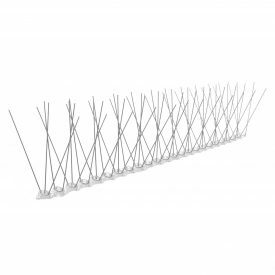 Material will not corrode or decay – spikes can last a lifetime! 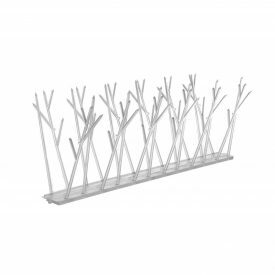 Physical barriers are the most effective way to keep birds off. 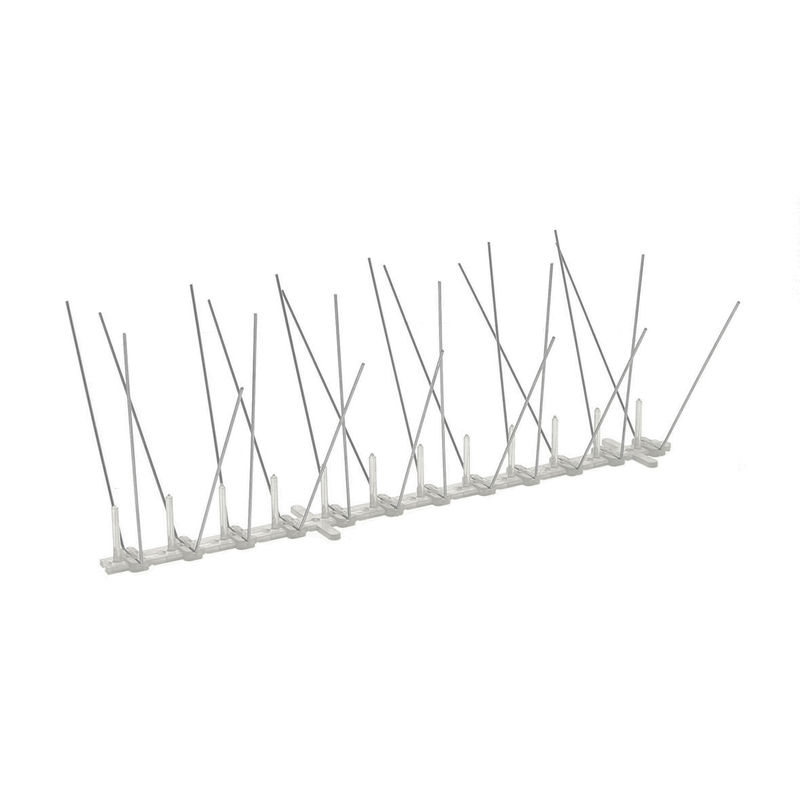 Spikes install easily with Spikes Adhesive, nails, screws, or ties. Repel pest birds such as pigeons, blackbirds, starlings, sparrows, seagulls, etc.